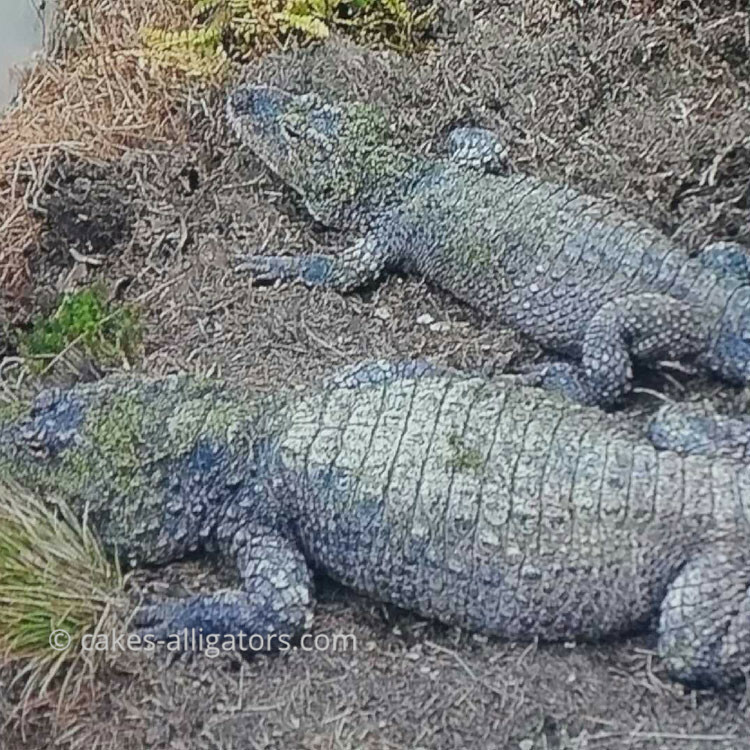 Chinese Alligators grow at an equal rate up until around 4 years of age; the same for both male and females. Up until this point, the annual growth rate is around 17 to 25cm. After the 4th year, growth slows to approxiamately 11 to 14cm per year until 10 years of age for males, and 8 to 11cm per year until 10 years of age in females. After 10 to 15 years, this growth rate slows even more, at 4.7cm per year in males and and just 1.1cm per year in females. When it comes to hatching Chinese Alligators, they have a growing period of around about 2 months. Ambient temperatures then become much lower so they'll stop feeding. The hatchlings, fresh out of the egg, will measure anywhere between 20 and 22cm in length, and will weigh somewhere around 25 to 30g. They'll only grow to roughly 25 or 26cm and between 50 to 55g before their first winter.